Sun Zoom Spark formed in Madison, Wisconsin in 1995 and soon after relocated to Tucson, Arizona where they have released their own albums as well as became the backing band for the new millennium reformed edition of Black Sun Ensemble, and continued in that capacity until guitar master Jesus Acedo passed away in 2013. Their latest album, Left For Dead, began life in 2001 when the band were asked by poet John Galuska to help create music for numerous poems he wrote on the topic of death and rebirth. The music was recorded in a single night and then sat for 12 years until Sun Zoom Spark guitarist/vocalist Eric Johnson revisited the recordings and completed mixing and mastering on the all instrumental album this year. In addition to Johnson on guitar, keyboards, bass, drums and banjo we have Steve Goetz on bass, Bryan Kohl on drums, and poet Galuska on electronics. A spacey Psychedelic Symphonic-Goth intro leads into a Psychedelic groove rocker with an Arabesque hypnotic pulse, winding trip guitar licks, bubbling soundscapes and freaky effects that are simultaneously meditative and hip shakin’ funky. Following is one of the highlight tracks, Left For Life, which consists of soulfully funky guitar and keys that create a cool Pink Floyd in a Psychedelic lounge jazz feel amidst a gurgling miasma of spacey effects and atmospherics. I enjoyed the Jazz and Surf tinged acidic jamming Hard Rock of Masterpiece By Midnight. The 16+ minute Left For Dead starts off with the same riff as Left For Life, but after a few minutes the band launch into a rocker that has a distinctly Pink Floyd Animals feel. The music transitions through multiple related themes, including exploratory and sometimes playful freaky electronic effect and soundscapes segments. If We Wait is a short spacey groove tune that sounds like it could be the theme for an old sci-fi TV show. Jewel Of The Seven Stars is a proto version of the song that would end up on Black Sun Ensemble’s 2003 released Starlight album. It features Middle Eastern flavored Psychedelia with banjo, wind instruments, and an orchestral feel that conjures up images of a choreographed gaggle of belly dancers. Volcano is a spaced out, freeform electro Stoner jam. The Stoner Hard Rock and Electro Rock elements trade off taking the lead and sound especially cool when jamming alongside each other. And I love the combination of ethnic percussion and sci-fi ooh-wee-ooh Theremin-like melody on Returning To Swim. 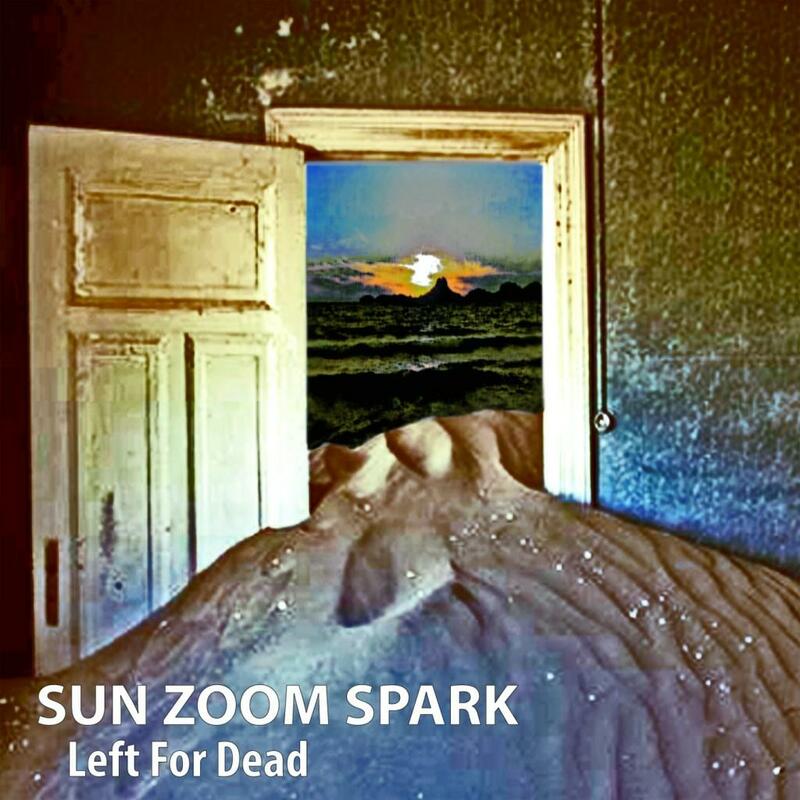 Overall I enjoyed this set and though it differs in some respects from previous Sun Zoom Spark albums, the spirit and usual variety that can be expected from the band are the same.